Years ago (it feels like a totally different life) I started an 4-years eduction to become a holistic vet. Together with a friend we signed up and started our first year. Every Tuesday morning we stepped in our car and drove 2 hours to our classes. For a couple of reasons both of us ended the first year but decided not to finish this education. We learned a lot but also had a good laugh. After a class about herbs with a professor raising his hands to the sky telling us how the flowers of a plants sang to the sun every morning, we couldn’t stop laughing and had to leave the class halfway. I still after 12 years have to laugh about it. At that moment we knew we were not the kind of people to finish this. Don’t get me wrong. We both believe in the abilities of plants, herbs etc. We just not see them laughing, signing or feeling. Maybe the way we think is too logical. Second reason was that I would not be able to finish anyway because we decided to apply for permanent residency in Canada. Because it wasn’t very cheap to follow these classes it was no use for me to continue and my friend had no intention to do it alone. I have been looking around a bit to see if anything like that is offered here in Alberta but never really found something appropriate. Or it was ridiculous expensive. For me, last reason was that I didn’t saw myself as a holistic vet working in Canada. Knowing that a lot of educations were not accepted in Canada (even my husband had to redo his exams as civil engineer) why bother. I also knew that I had to be there for my kids for at least the first year to make the move to Canada work. So no new career for me in that field. But working with herbs, oils, Bach, TTouch and horses was never forgotten. For now my new career is Young Living though. Helping horses and dogs with holistic treatment will follow over time. Young Living is started by Gary Young in the USA as an essential oil marketing company. In the last 2 decades it is expended from just essential oils to essential oil blends and oil infused products. For me it is not only important that the oils are natural but how they work still, after all these years, surprise me. The oil-infused products gave my family also a change to help to find our health back. All the products are natural, no chemicals added. I not only use their essential oils and blends but I also use their household cleaner (really great stuff), dish soap, laundry soap, toothpaste, shampoo, face scrub… do I have to go on? They have so much products nowadays. I already was familiar with the essential oils, herbs, Bach and the holistic way of living but moving to Canada it all went to the background. After a couple of years I realized I was using so much ibuprofen and coming pass a post about becoming a distributor for Young Living made me think. Besides that I could use some extra money I also could use some different approach of the way I was living at the moment. So I started to investigate. Looking around to see what Young Living is and if there are better companies. It didn’t took me long. Not only because there are not much companies in North America who are selling quality essential oils, but because they were around for a long time already, they are all over the world and they have their guaranty that their products are as pure as they say they are. So I made the choice to sign up and order their starter kit and try it. And I never regret it. So what is the guaranty Young Living is giving their members? Years ago Gary Young decided to start his own farm and doing his own distillation. So he knew for sure that no chemicals were used while growing the crop. He knew how the harvest was done. He knew what happened during distillation. Over the years he expanded the farms all over the world. 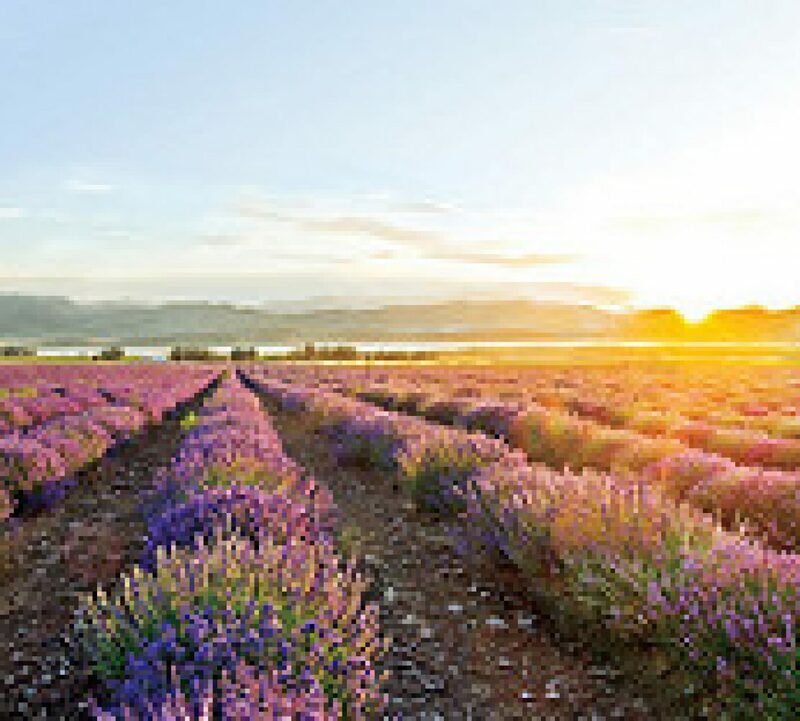 As a Young Living member it is even possible to visit these farms or help them to bring the crop in. A unique experience for sure. Because of this way of “making” the oils he knows that “nothing extra” is added. If you like to know more about Young Living and their products and how they can help you to bring a bit more health into your family just contact me. It doesn’t matter which country you come from. You can always use their products. Bear Valley Rescue is a registered rescue located just south of Sundre, north of Cochrane. They preliminary rescue horses but also pigs, goats, chickens, rabbits and more. A couple of years ago I heard about them when I was looking for a reliable place where my horses could go in case something happened to me. I liked what I saw and after a year or two I started to do some things for this organization. I noticed that not a lot of people were familiar with Bear Valley so I went for the “raising awareness” challenge by signing up for some local fairs, handing out brochures at a couple of pet and horse stores and I arranged a weekly pick up of the left over bread and sweets from our local bakery Cobs. At the end of the day all the left overs will be thrown out. Some days of the week schools and other organizations pick up the bread but not all days. Together with a volunteer also living in Cochrane we pick up and deliver the bread to Bear Valley. As Kathy, the owner of the rescue said, it saves her at least $50 dollar a month if not more. That money can now be used for other things like medicines and feed for the other animals. I also put aside money from my sales to donate. And that should be more and more over the next months and years. Bear Valley is also the place where two of my horses came from. Royal and Diamond, mom and daughter came to us almost 4 years ago. Meanwhile I adopted Diamond (the foal) and mom just never left and is a permanent foster. And as long as I am able to take care of her she can stay. If you are a horse or an animal lover and like to know more about them please visit their website (www.bearvalleyab.org) or find them on Facebook. They are always looking for donations (money-wise or tack or feed or …), sponsors, fosters or adopters and volunteers. They also have auctions on regular basis or other fun things. Unfortunately the stream of animals coming to Bear Valley will never end. Take care of your animals please. Think about what it will cost you not only short-term but also long-term. Choosing an animal is choosing responsibility. You don’t get rid of your child after a couple of years, right? Try to think the same about your pet. Way too much horses are shipped to the slaughterhouses (the faith 5 of my horses were waiting for), too much dogs and cats are put down. Just an (occasional) side step from essential oils and my business but for me also important. Living on an acreage is for me the real life. Something I always dreamed of. Our drive way is 500m long, slowly going up a hill and because of that we have a beautiful view over the Rocky Mountains. I would not change this till the day I die if possible. It is close to town, close to schools, stores, doctor, library etc. We have great neighbours, all with huge equipment who removes snow from the driveway when our tiny tractor can’t handle it anymore, bring up big bales of hay if necessary or just help when you ask for it. The house is small compared to the houses around us. There is a lot of work to do inside but mostly outside but I don’t care. Although it can be frustrating sometimes. Water comes from a well and is pumped into the house and from the house to the barn. It took some years to get the supply to the barn under control during the winter. Insulation, heaters, heater tape. When do you have to turn it one? Which heaters (there are so many) do you need? When to plug-in? Keeping the water flowing is expensive during the winter. All these heaters use a lot of electricity. After a couple of weeks of minus 20C and lower it went up to 400 dollar. Not good. Turning them on to late means frozen pipes so no water. One year I had to bring buckets of water from the house to the barn (glad I only had 2 horses then). I don’t want to repeat that. One horse drinks a looooot of water during the day. A well means our own and good tasting water but… There is always a “but”. Last summer we noticed that there wasn’t much water left in the well and slowly it went from not much to barely anything. First we had to reduce bathing time, then shower time, flushing toilets, then laundry wasn’t possible anymore. Placing the pump lower didn’t help and replacing the pump didn’t help. We even reached a point that we had to haul water in for the horses. No fun when winter starts. Because we had to haul the water in anyway, it was useless to keep the supply to the barn on so we closed it off. And then we noticed an increase of water again. We had enough water for showers. Always nice to know that when you use shampoo you have warm water to rinse it out again. Then we had enough water to do the laundry too. Everybody could shower without any water shortess.Maybe we had a leak somewhere between the house and the barn?? But after 2 months of winter it was so freaking cold that we decided to turn on the tap to the barn just long enough to fill up all the troughs with buckets. That worked great. We still had enough water in the house and we didn’t need to haul in anymore. So we kept on doing that. Till we forgot to turn the tap off…. No more water. Again. A leak between the house and the barn was now confirmed. Guess what we are going to do this summer. At least we have a couple of months to safe some money because not knowing where the leak is means digging up the entire line between the house and the barn. All 100 meters. Oh, and there is no drawing where the line is too. That’s going to be fun. When I started this blog I wanted to share my life. But thinking it over I realized my life was not just one stream of stories but was divided in 3 parts which were all connected to each other. First of course I have my family. Married 25 years ago, 3 great daughters and a great husband is part one. I love them all but the taking care of them isn’t much of a challenge. Especially not now the children are all adults (18+), at school or at work all day. I clean the house a bit, do the laundry, make diner and do groceries some times. I have a stake of books in my bedroom (I have to sell them or give them away) which I started last year. I finished them all and added them to the stack on regular basis. No book under the 300 pages. So I read a lot. Third part is setting up my business (yes MLM is business), trying to find customers, trying to figure out what works for me and trying not to give in into all my doubts. And that is the hardest part. The 3 of course interact. I can’t do 2 hours one thing, then 2 hours the next, then 2 hours the third.Generally I start in the morning with feeding the cats, taking the dogs for a walk and letting the horses out and feeding them. That takes up my first hour and then I am ready for the oh-so-needed coffee and breakfast. Till 2pm I can fill in my agenda as I like. Then I kind of repeat the above. Taking the dogs for a walk and feeding the horses. Depending on my mood, energy levels and/or weather, I will muck the stalls and have all the hay ready for the night too. But on regular basis I leave that for 7.30pm when we bring the horses in, because then I have Darya who almost always helps me with everything and on regular basis Frederique and Brandon are doing the water. So yes 7.30pm is round 3 for horses and dogs. Bringing the horses in for the night and feeding them. So 3.5-4 hours a day is spend on the necessity of taking care of the animals. 3 hours is breakfast, lunch and (making) diner. (I know. I take my time.) When I go for a run I spend 1.5 hours on running/taking a shower. Leaves me with 6 hours for everything else. Good thing that my business is a part-time job lol. Why am I telling you all of this? Because time-management is really important part of your life if your like to reach a goal. Finish a course. Finish college. Finish your assignment. etc. I really need to focus on time management. I have my agenda filled in with every half hour of what to do. Otherwise I slip and forget things or just extend my breaks or miss deadlines I set up for myself. Procrastinating tasks is very easy. For me it just means I lose a day. If you have the same problem as I have I would say use a huge agenda and fill it in. Don’t leave any blank spots. Go for it. Unless of course you like your life as it is now…..
For a week now I so can’t find the motivation to do anything at all. Since my 2 day trip with Frans to Banff there is nothing. Can’t get my mind set to start working again. To do anything at all. No blogs, no finishing my e-book I started, no continuing of my course I am doing, no running. And that is probably (as I feel it) the worst part. I eat, and eat, and eat and sit behind the computer and do nothing. Well that’s not entirely true. I am gaining weight. And thanks to the dogs and horses I still move a little bit daily. I kind of know what the reason is. After working hard for almost 3 months on my website, on landing-pages following advertisements, promoting myself every where, trying to get people interested in a night about essential oils, I still have nothing. No sign-ups, no sales, nothing. It so feels like a waste of time and money. And hearing from other people that they signed up people almost daily….. What am I doing wrong???? I know I have to see this as a learning curve. I know I should not compare myself to others. I know I am to impatient. I know it will take time to find customers. It will take time to get my name out there. I have to continue what I am doing. Consistency is the key to success. I can NOT give up!!! And I should use my oil blend “Build your dream” more often. And I have to start running again. And the first blog is done now.Yeah! I received an email this week from Success with an article from Kimanzi Constable about mistakes succesful people don’t make. Reading the entire article (link is below) I must say I did do them all. Because of common sense and experience I realized they were mistakes and I won’t do it again. Some I am still working on. Successful people don’t copy someone else who is successful. Personally I think nr.5 is a very important one. 20 Years ago I was so done with my weight and the way I looked that I started running. I still remember as if was yesterday how difficult it was for me to reach that first corner of the street. How I was completely out of breath. How after 3 month I realized that I passed that corner and the 2 after that without any problem. How I got addicted to running and kept on running everyday 6 times a week for an hour. How great I looked (dropped a couple of sizes), but most of all how great I felt. I could handle any problem without stress, my confidence was sky-high, I never felt so good and happy. I had to run every day (10K) but I didn’t care.I loved it. And that is the part which you need to be succesful, to reach your goals, to make your business succesful. And that is the part I have to work on again. I want to work on again. I want that feeling back again. The only thing is, just as building your business, it takes a couple of years before you reach that point. I lost more than 20 lbs last year, just by starting to run again. I don’t have that addiction-feeling YET, but I will get there. And I will lose another 20 lbs this year. While I am building my business at the same time. I agree that taking care of yourself is the best way to start to be succesful in your business, but also to be successful in your overall life.